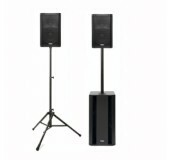 Avista's sound system rental packages are designed for speaking engagements and for amplified music. 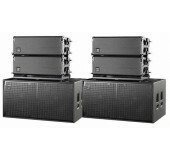 These sound systems are easy to operate yourself, and we show you everything you need to know when you pick up your system, backing that up with our 24/7 help line. 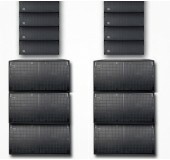 For larger systems, choose delivery and setup by a highly trained Avista audio technician for a worry-free meeting or event. 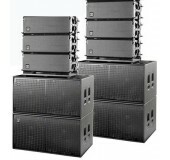 Perfectly paired line array package for 200-500 person audience. 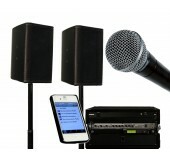 Includes 2 mic's, digital mixer/snake, delivery, setup & operation.